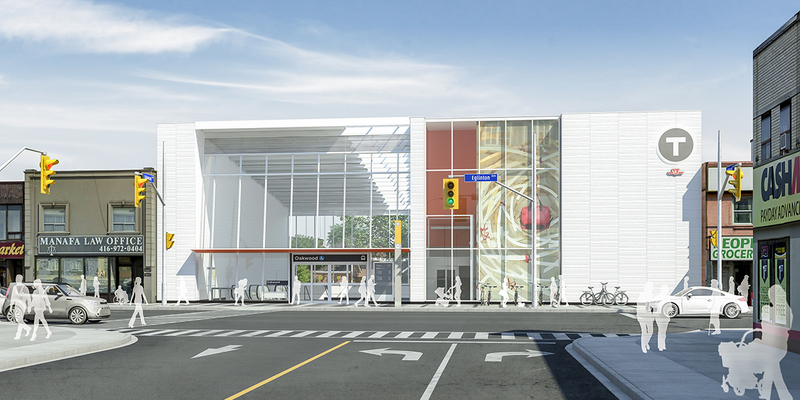 The Eglinton Crosstown LRT is a $5.3 billion Light Rail Transit (LRT) project currently under construction in Toronto. The new 19 km LRT line will run across Eglinton Avenue between Mount Dennis (Weston Road) and Kennedy Station, and includes a 10 km underground portion between Keele Street and Laird Drive. 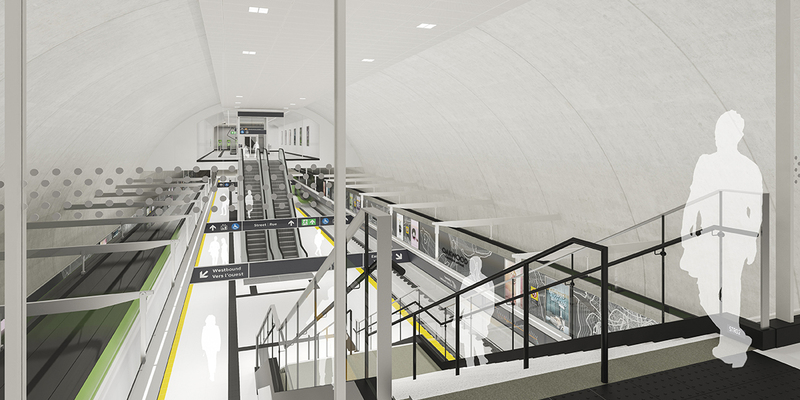 When completed, it will provide 15 underground stations, including two subway interchanges and two terminal stations, 10 at-grade stops, a vehicle maintenance and storage facility, an Operations Control Centre, and other supporting infrastructure. The project is being procured as a Public-Private Partnership (P3). 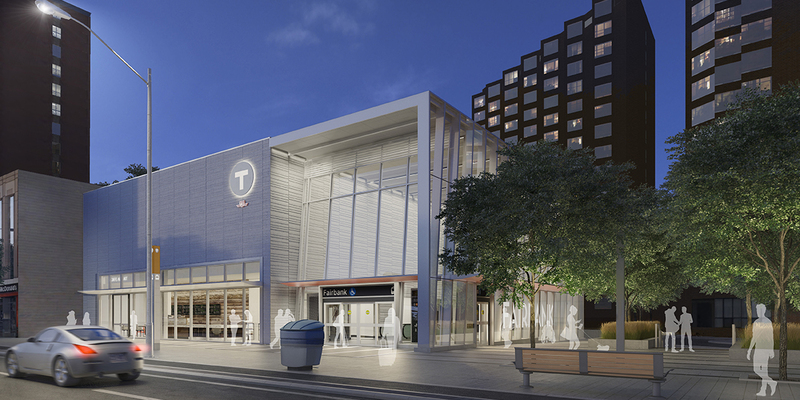 Entuitive is completing the structural design of three underground stations, including Allen Station, one of the major station interchanges with the TTC subway. The design scope includes below grade stations, pedestrian and ventilation tunnels, and surface structures for entrances/access, substations, and ventilation equipment. Tunnel interfacing and excavation support for protection of existing structures and utilities are key design requirements. 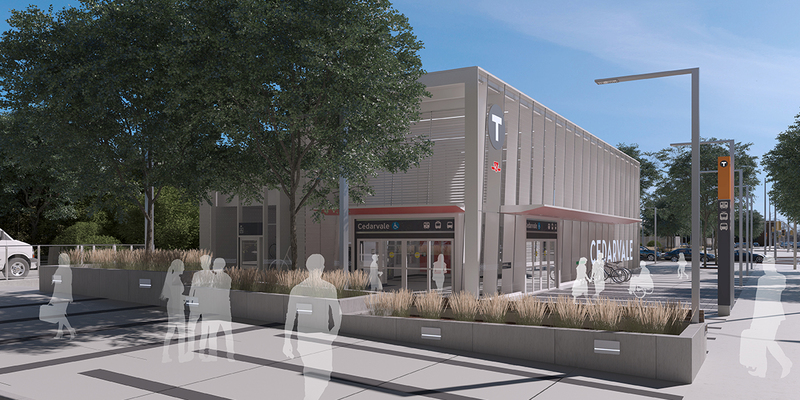 The interchange station scope also includes modifications to the existing TTC station for interconnection with the subway. 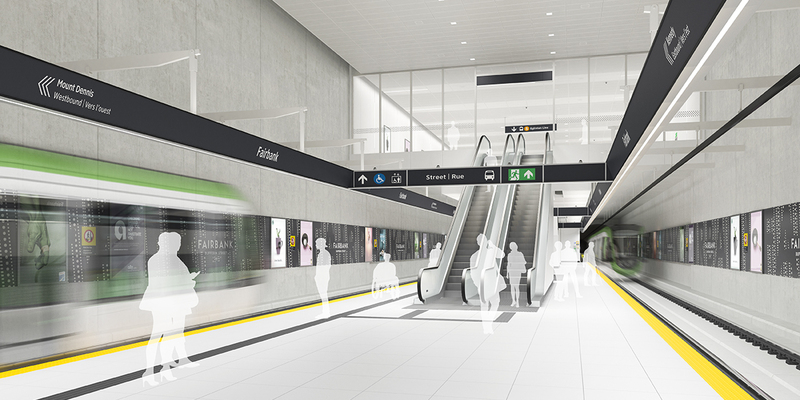 Challenge: The interchange station requires the new LRT platform to be built beneath the existing subway line, and requires passenger connections to the existing subway platform that extend under the existing bus terminal structure. All new construction must be completed without impacting the existing subway operations. 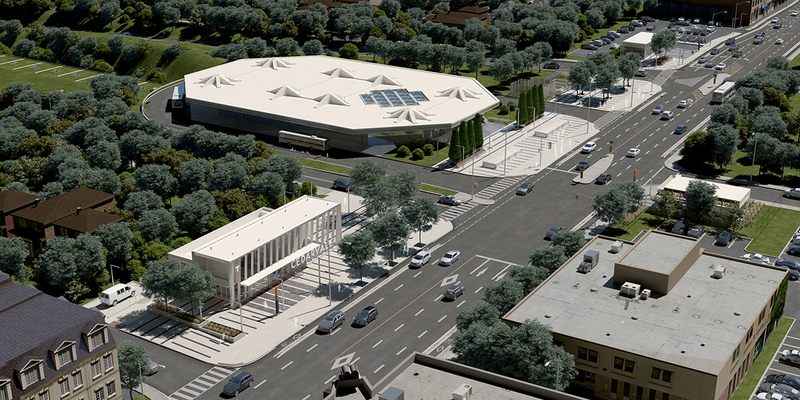 Solution: Complex underpinning of the existing TTC subway and bus terminal structures was developed. Sophisticated 3D modeling was used to assess the staged underpinning construction sequencing, ensuring that the movements of the existing structures remained within the limits specified in the Project Specific Output Specifications.